Shah Rukh Khan conducted an 'Ask me anything' session on Instagram recently. The actor once again proved he is the king of AMAs. Here are some of his best comebacks from the chat. On the way for the shoot of his next film, Shah Rukh Khan decided to chat with his fans, but this time on Instagram. 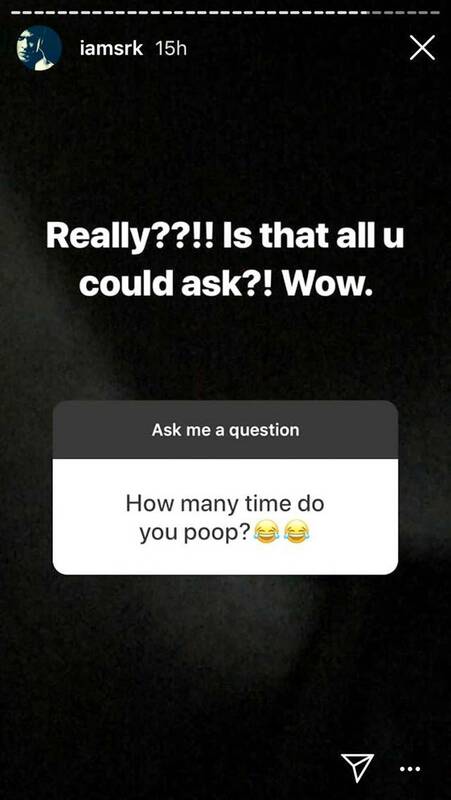 The actor, who has been constantly in touch with his fans over Twitter, was in a mood to try Instagram’s new feature that allows you to ask questions to any user. And as we know, Shah Rukh is not only the king of hearts but also the king of comebacks, and this was seen when the star took over Instagram for a while. From talking about his upcoming film Zero, his children AbRam and Aryan to the love of his life Gauri Khan, SRK opened his heart to his fans in his recent #AskSRK session. When Shah Rukh Khan proved himself to be a true blue romance king. As you can see, no one can beat Shah Rukh Khan in the departments of quick wit and charm. It is no wonder then that he is the Badshah of the industry and our hearts.